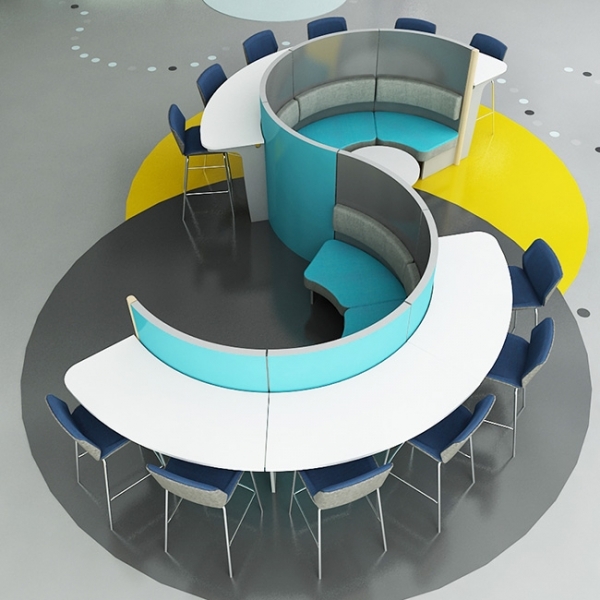 Creating architectural spaces, with dry-wipe surfaces are wholly appropriate for collaborative brainstorming activities, encouraging learners to work together in groups, sharing ideas and concepts, and being able to do so without taking over or disturbing other students using the space. 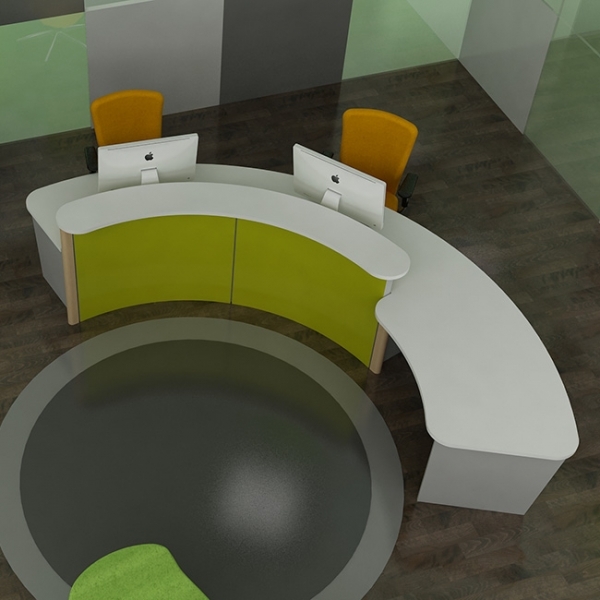 Central points where students know that help, or information is on hand allow LRC spaces to be appropriately managed. 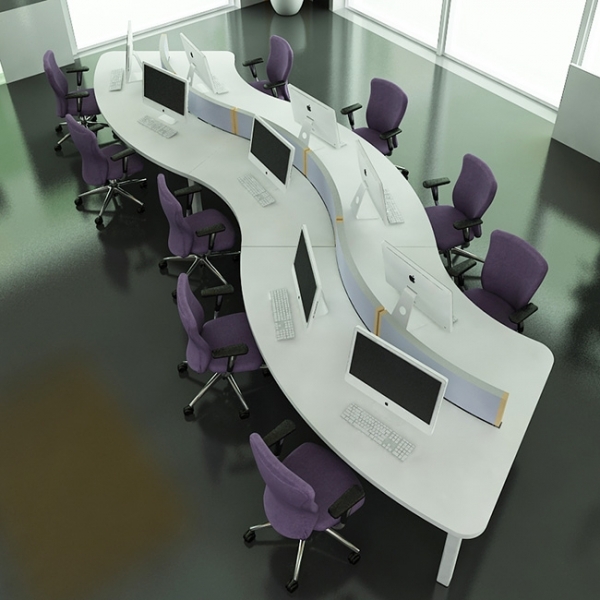 As high-use spaces, the quality of our reception desks ensures they’ll be there for many years to come. Seats that can stack. 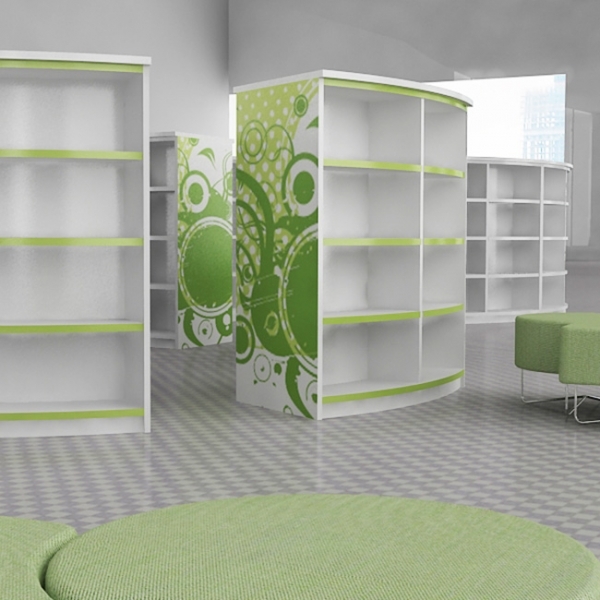 Tall seats, low seats or seats that adjust in height. 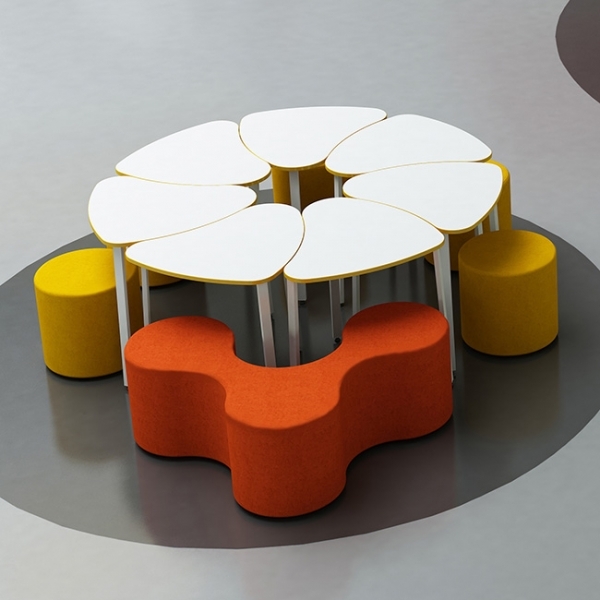 Seats that nest together to create different shapes, or can be dragged into the round for a quick presentation. 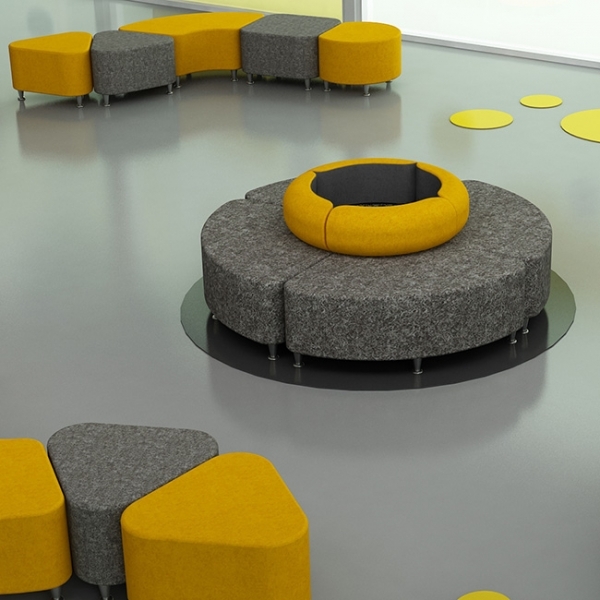 Having different types and styles of seating enable the spaces to support different activities, and different learning preferences.